Rexel Crystalfile 330 Lateral File Inserts are specially designed to complement the Crystalfile Classic and Extra ranges of lateral files. The unique inserts are printable using the templates at www.rexeleurope.com/templates. 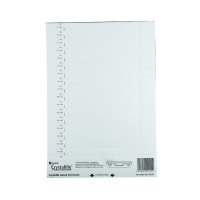 This convenient pack contains 34 inserts suitable for hand-writing, typing or feeding through a laser printer. Once inserted into tabs, they can easily be removed again should you need to change the file name. They are also 14.8cm long, and 1.5cm high, which provides ample space to accommodate long file names. 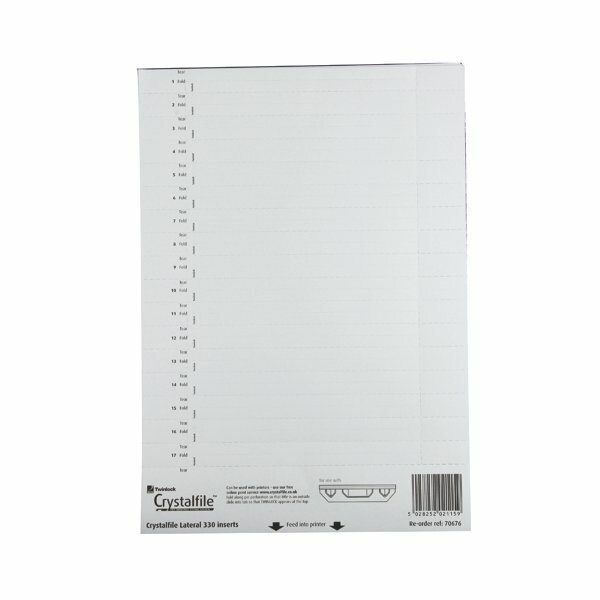 These inserts can also be used with Rexel Multifiles.